Targeting PM Modi, the Chief Minister said, "Country is on the path of development, it is what PM talks about, but the opposite is happening in our state". 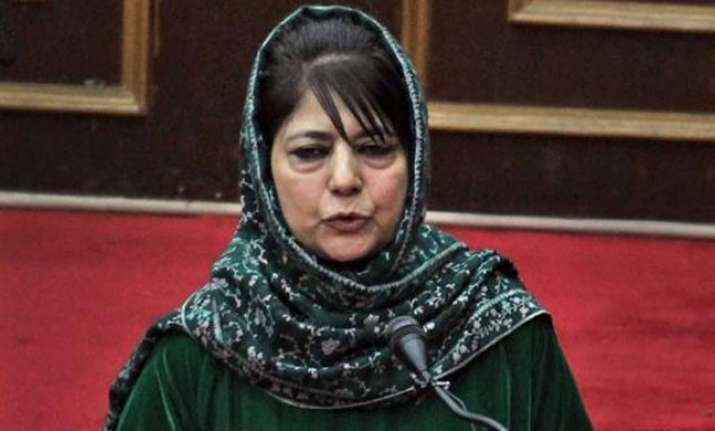 Jammu and Kashmir Chief Minister Mehbooba Mufti on Sunday asked Prime Minister Narendra Modi and Pakistani authorities to concentrate on efforts to establish peace at the border. "I appeal to PM and to Pakistan, J&K ko jung ka akhada mat banaiye, dosti ka pul banaiye (I appeal to PM and Pakistan not to make Jammu and Kashmir a battlefield, but instead turn it into a bridge of friendship)," she added. Raising concern on the spike in casualties in the state due to cross-border firing, Mufti said that the borders are witnessing bloodshed at present. "Hamare border pe iss waqt, khuda na khasta, ek tarah se khoon ki Holi chal rahi hai," the Chief Minister remarked. Chief Minister Mehbooba Mufti's statement comes at a time when the relationship between the two countries stand further marred with increased ceasefire violations by the neighbouring country since the beginning of 2018. Death toll in the border firing in Jammu and Kashmir has claimed to 11 since Thursday, including an Army jawan.